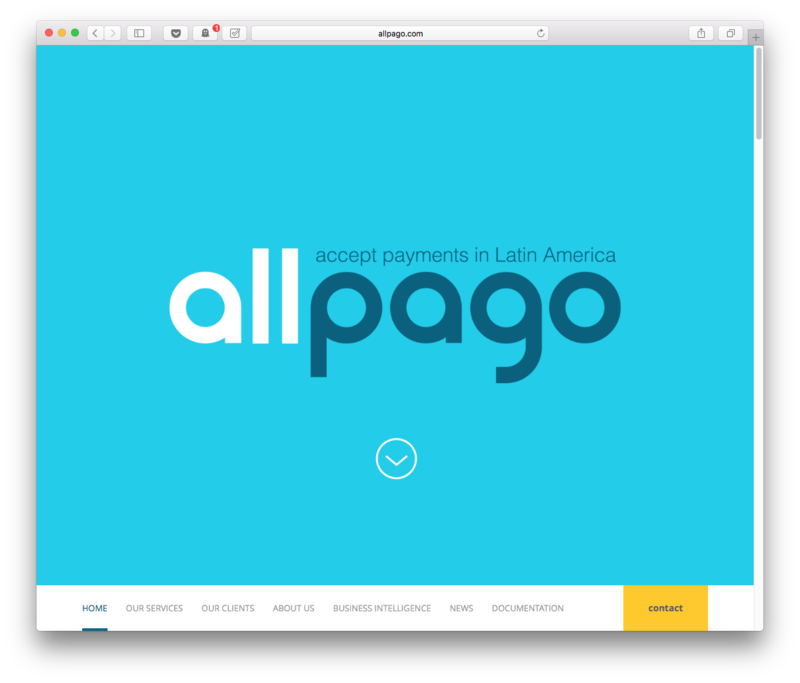 allpago is the leading payment provider for the LATAM region. 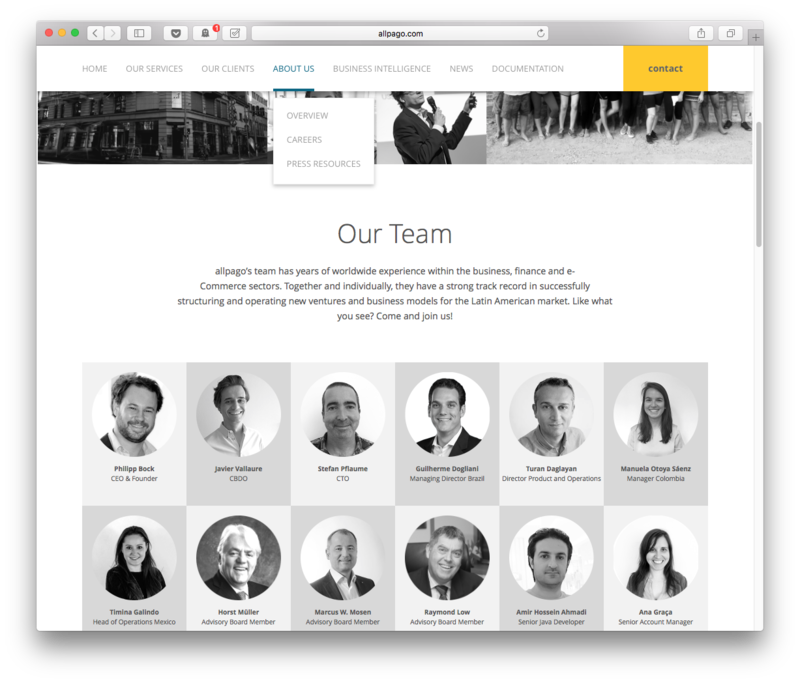 The company was founded in 2010 by Philipp Bock and is headquartered in Berlin with regional offices in São Paulo, Mexico City and Bogotá and expanding to Chile and Peru. 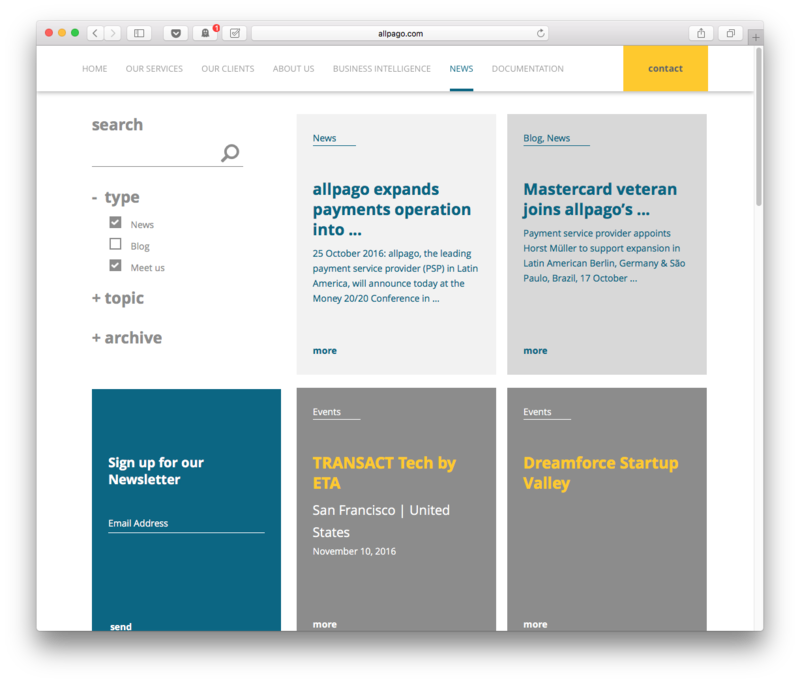 Based on Christine Vallaure's design, Frank Erler (filet.cc) and myself built a responsive Wordpress site with a custom theme and plugins. 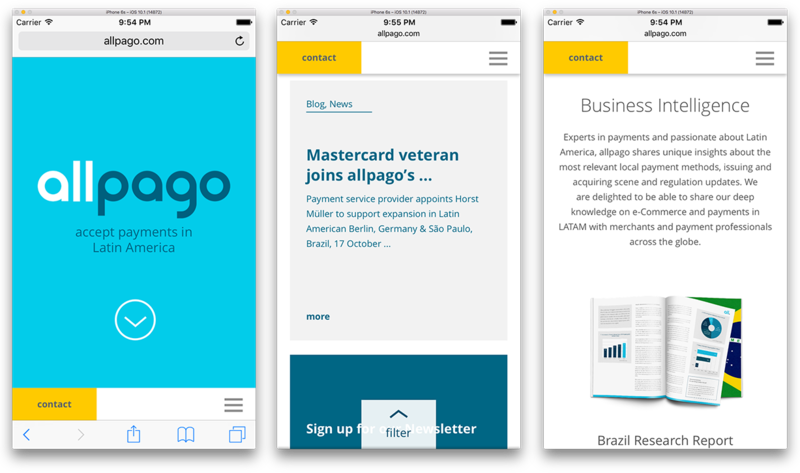 The responsive site also features various forms as well as a database connected download option for reports offered by allpago.